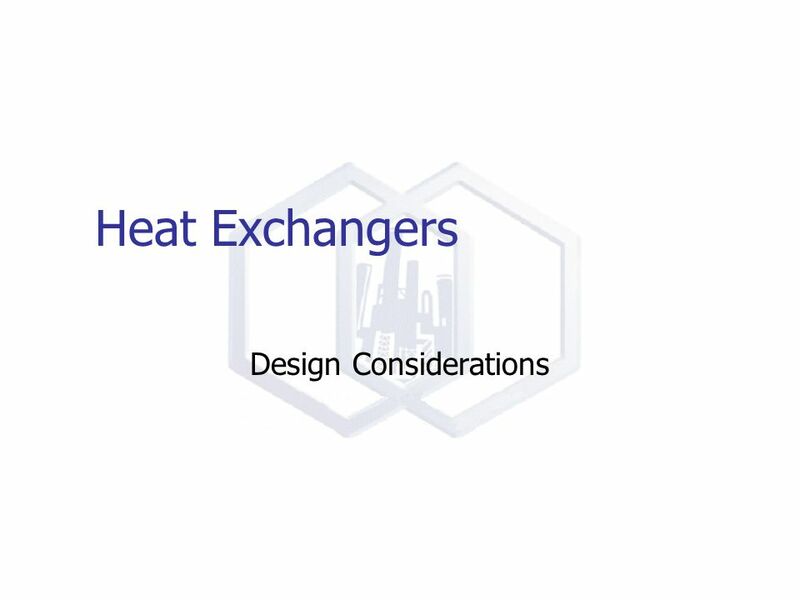 Heat Exchangers Design Considerations. 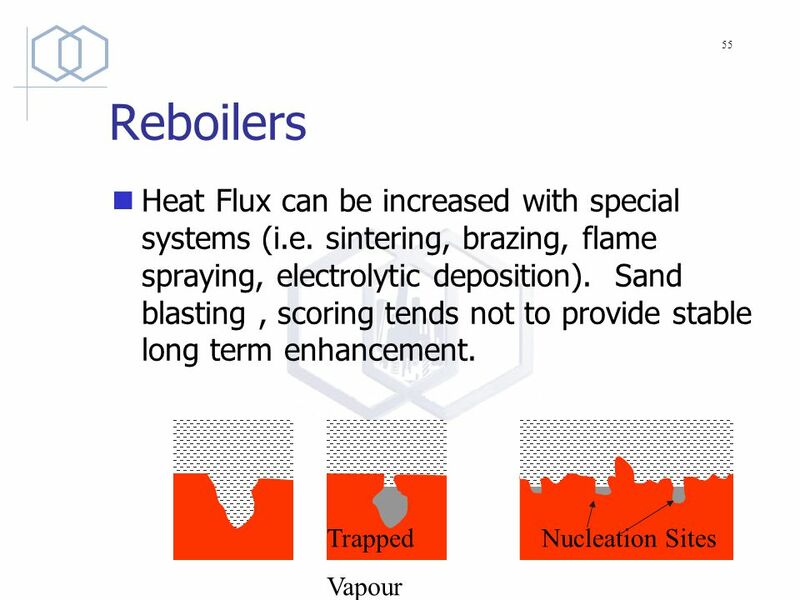 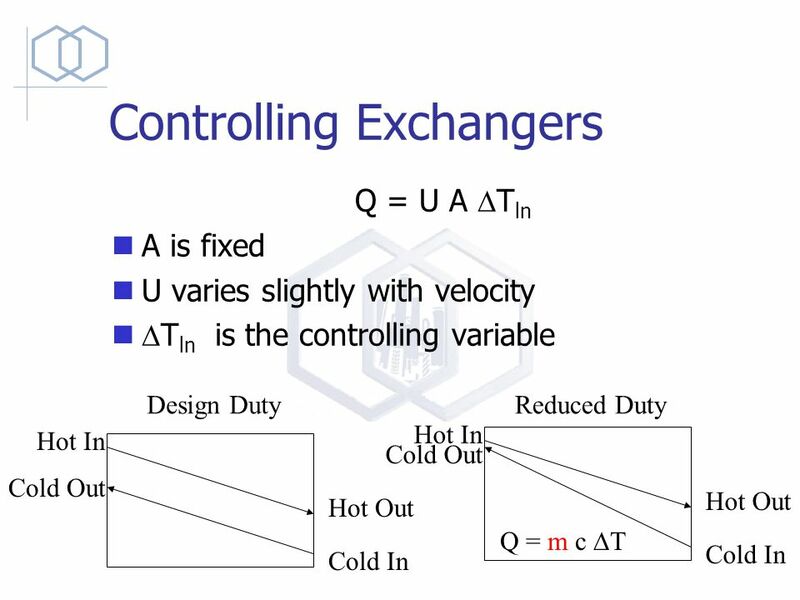 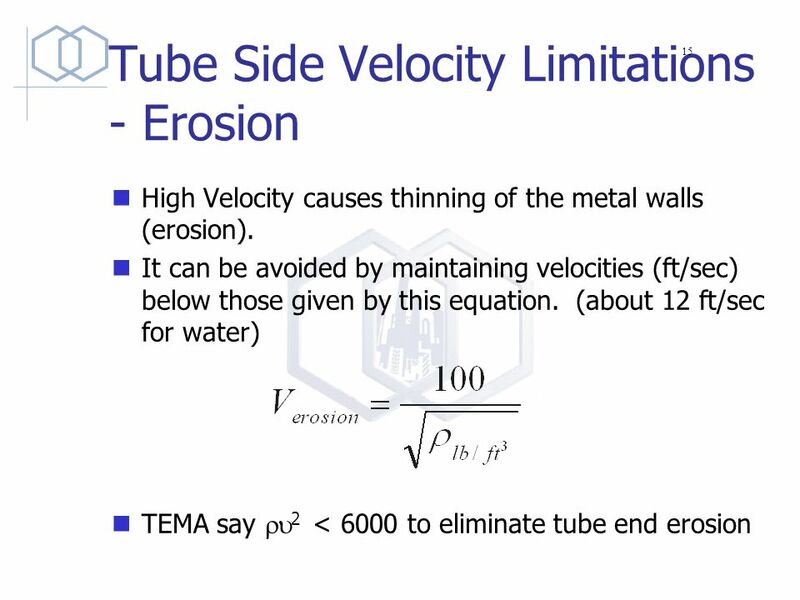 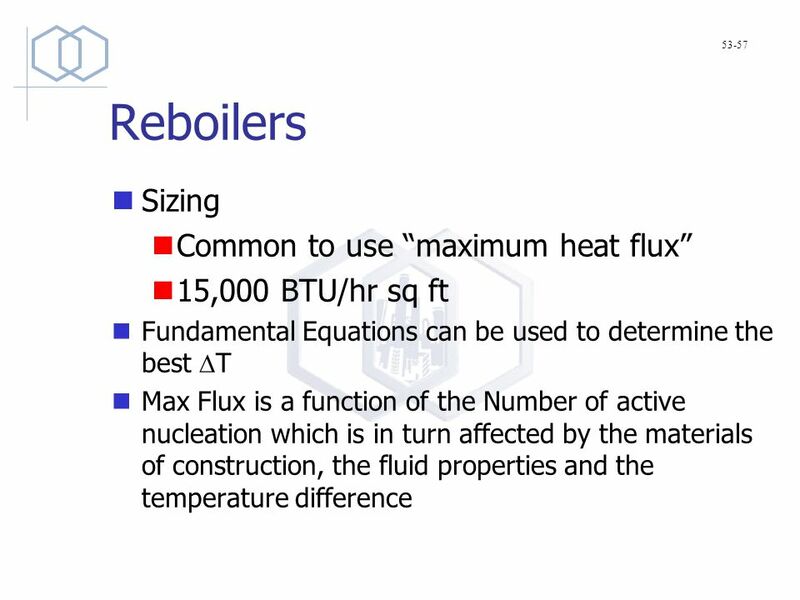 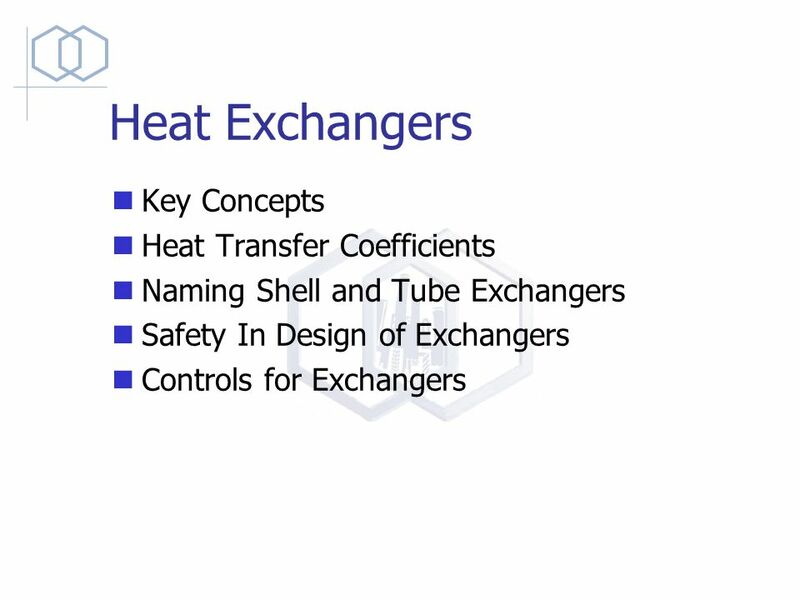 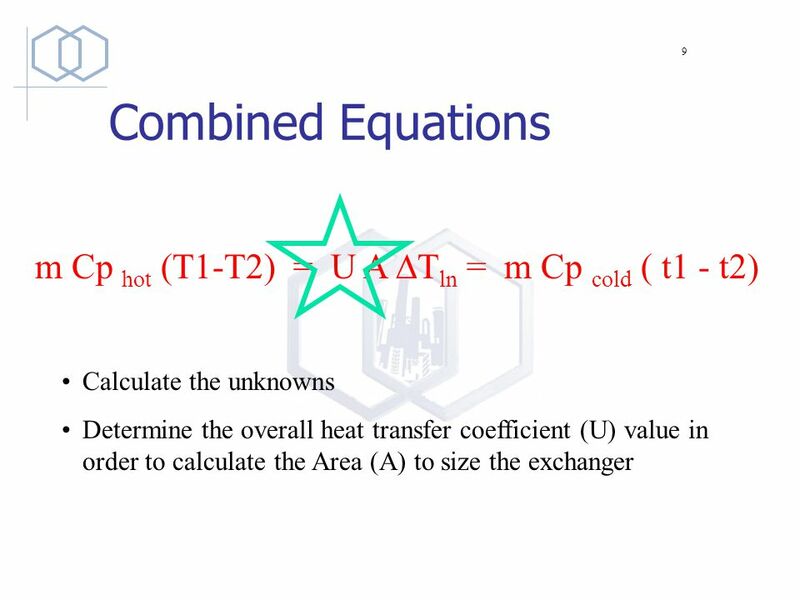 Heat Exchangers Key Concepts Heat Transfer Coefficients Naming Shell and Tube Exchangers Safety In Design of Exchangers. 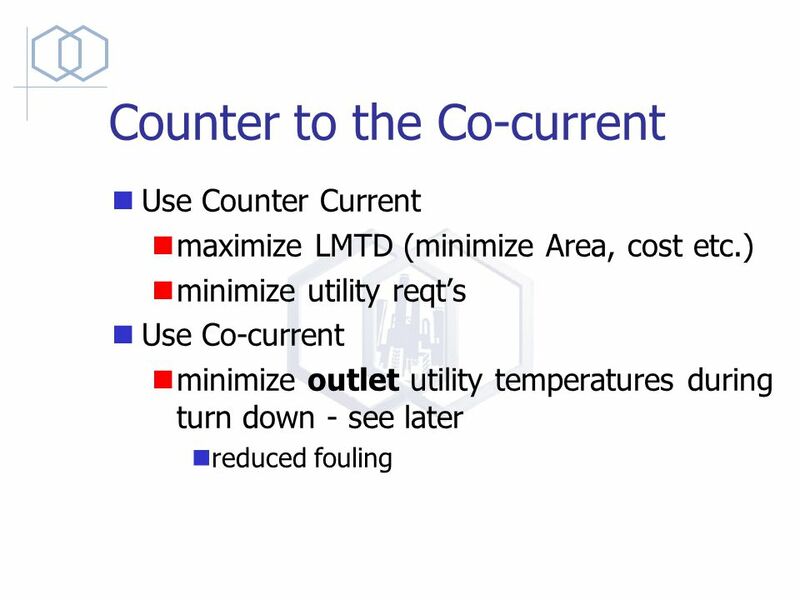 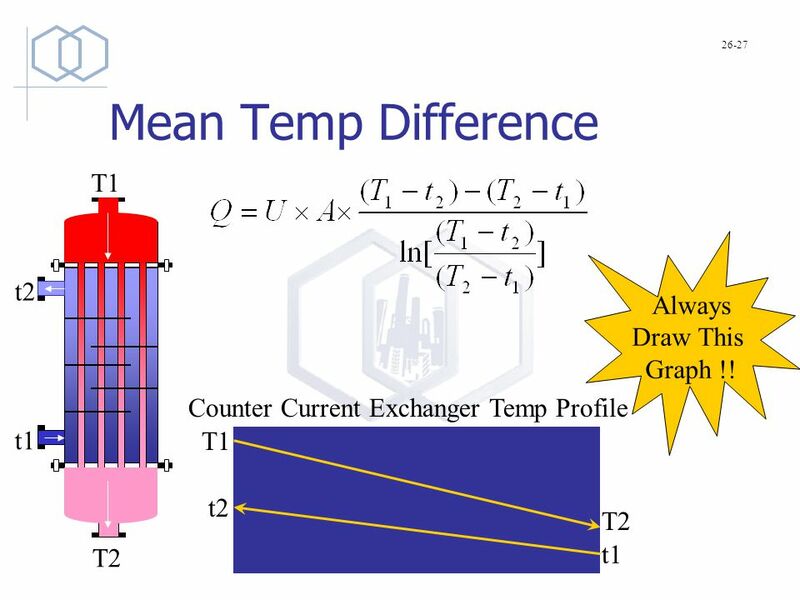 9 Mean Temp Difference T1 T2 t2 t1 Counter Current Exchanger Temp Profile 26-27 T1 T2 t1 t2 Always Draw This Graph !! 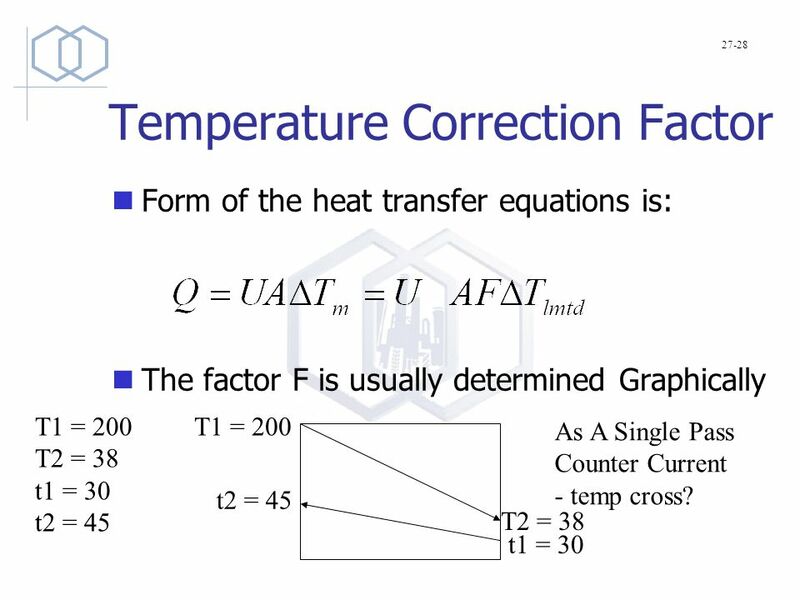 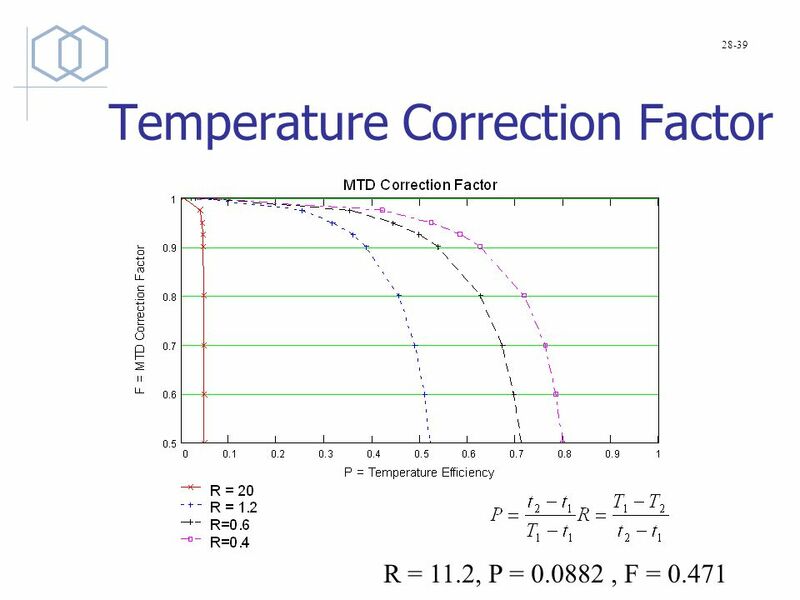 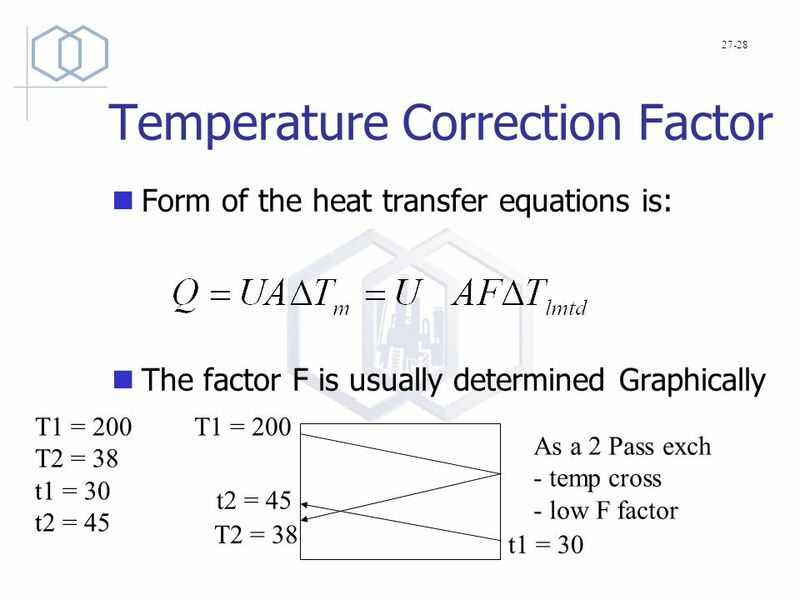 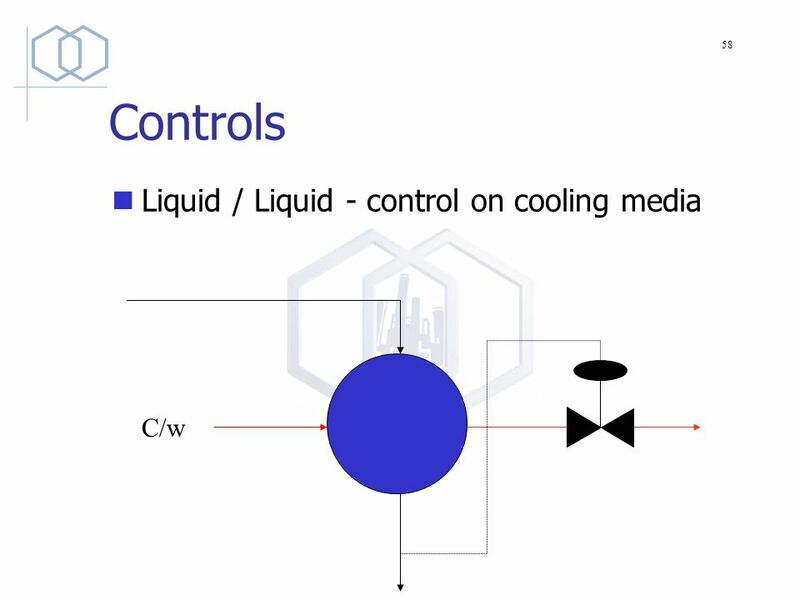 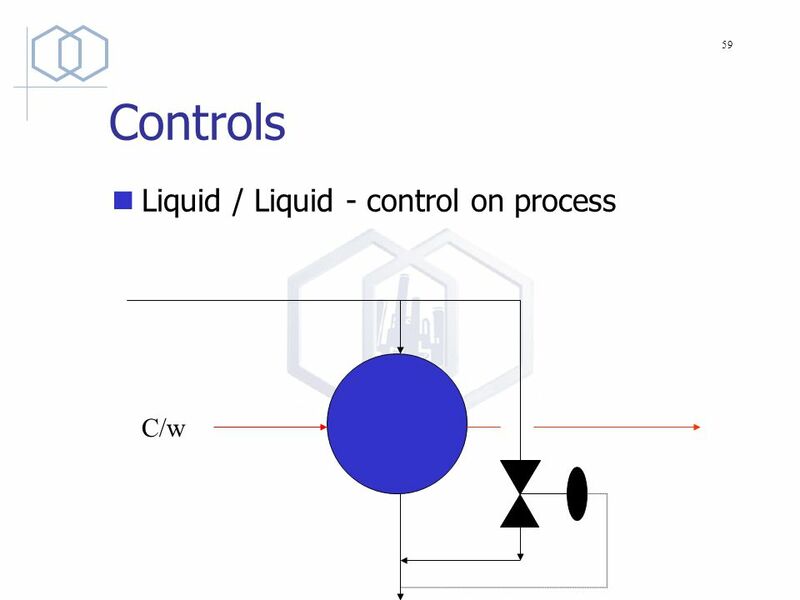 11 Temperature Correction Factor Form of the heat transfer equations is: The factor F is usually determined Graphically 27-28 T1 = 200 T2 = 38 t1 = 30 t2 = 45 T1 = 200 T2 = 38 t1 = 30 t2 = 45 As A Single Pass Counter Current - temp cross? 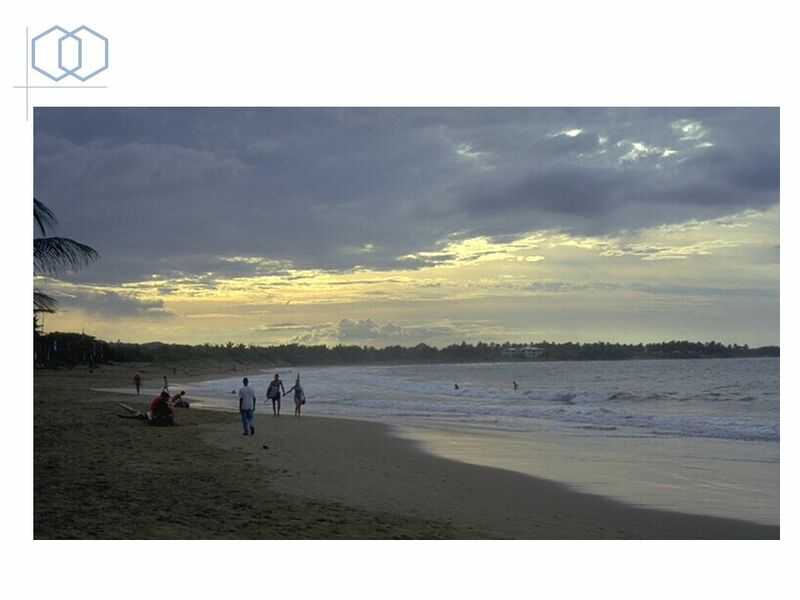 44 END No Class Friday ? 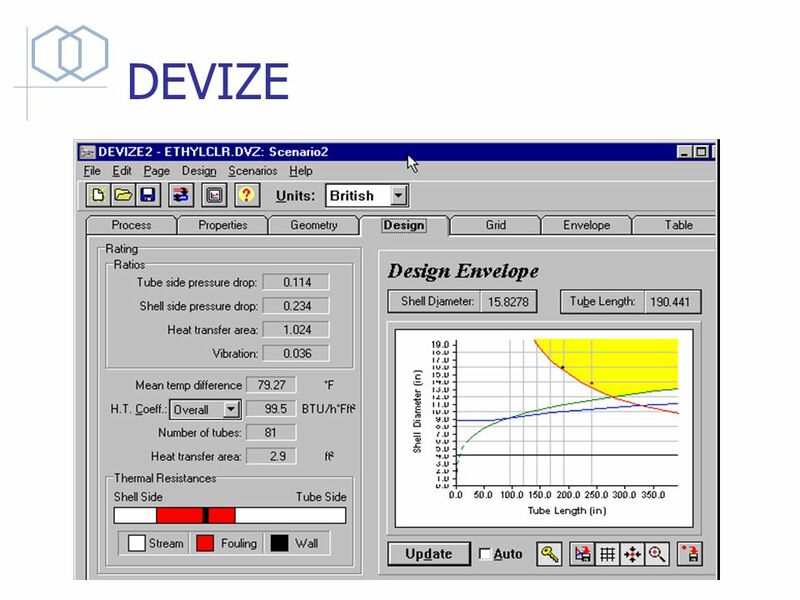 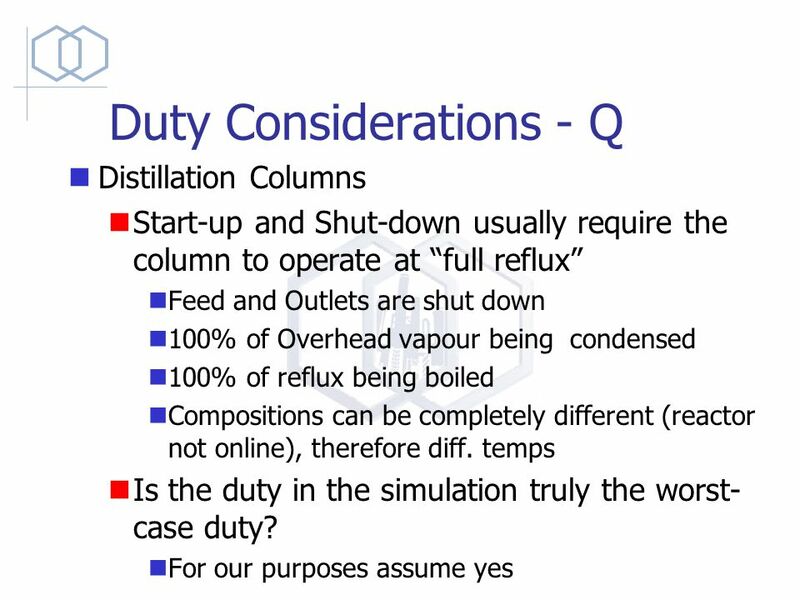 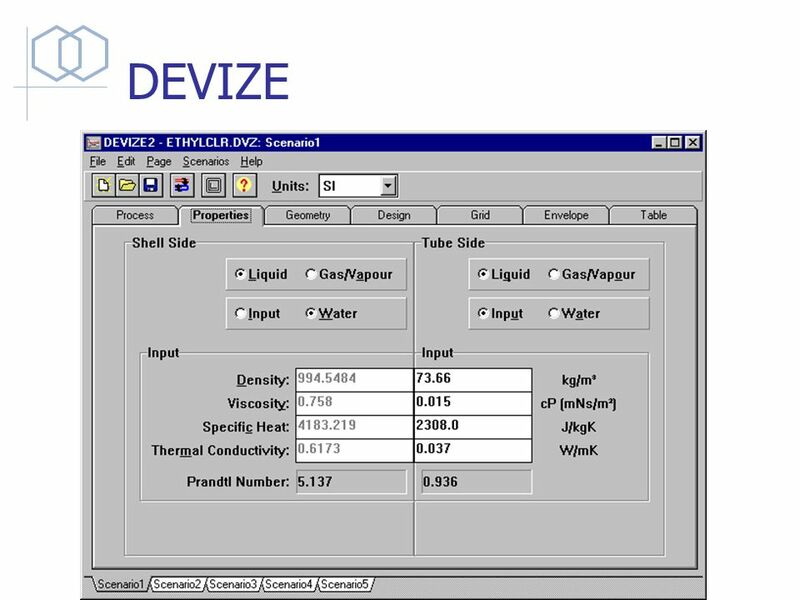 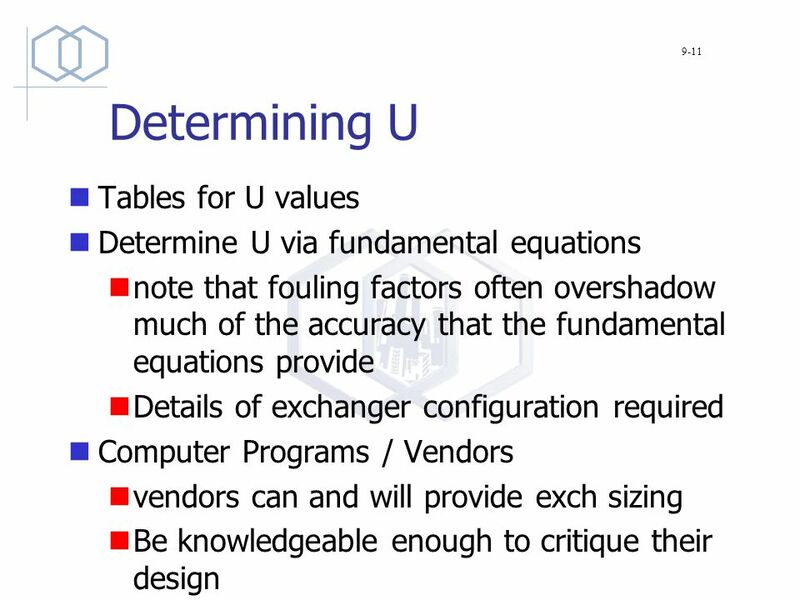 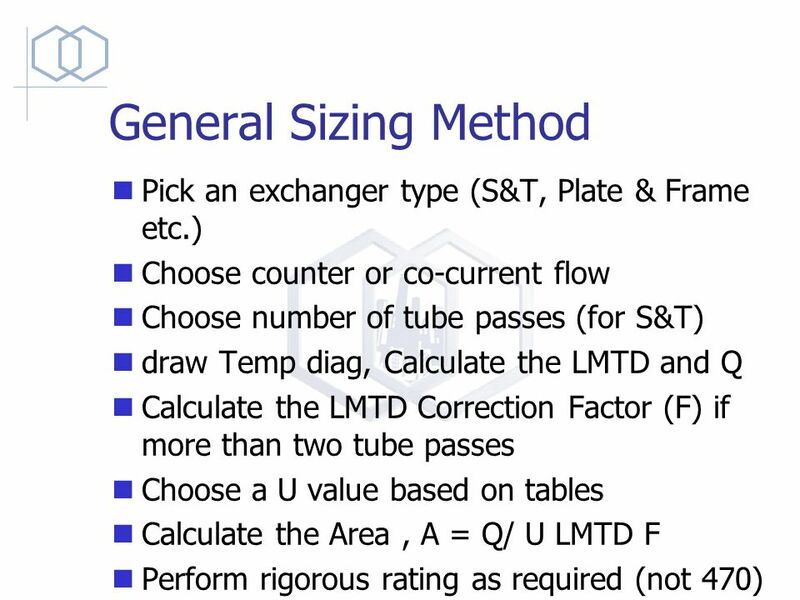 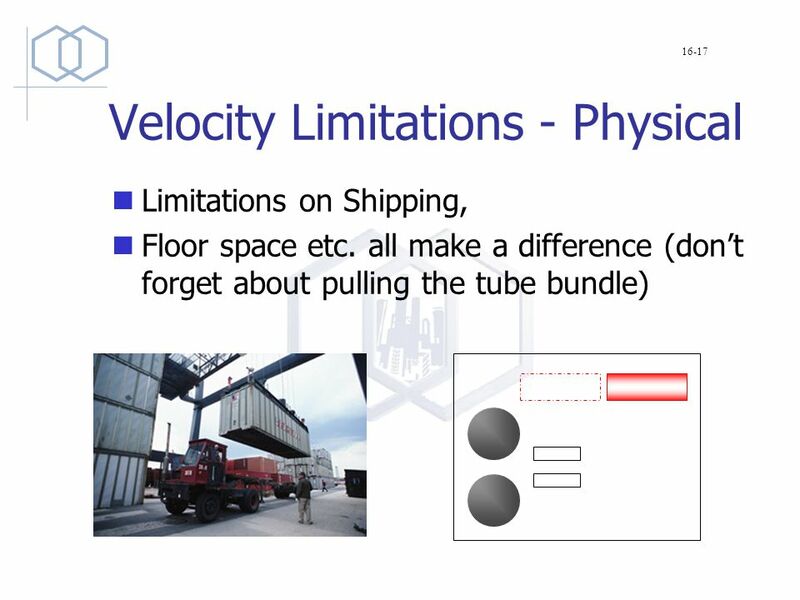 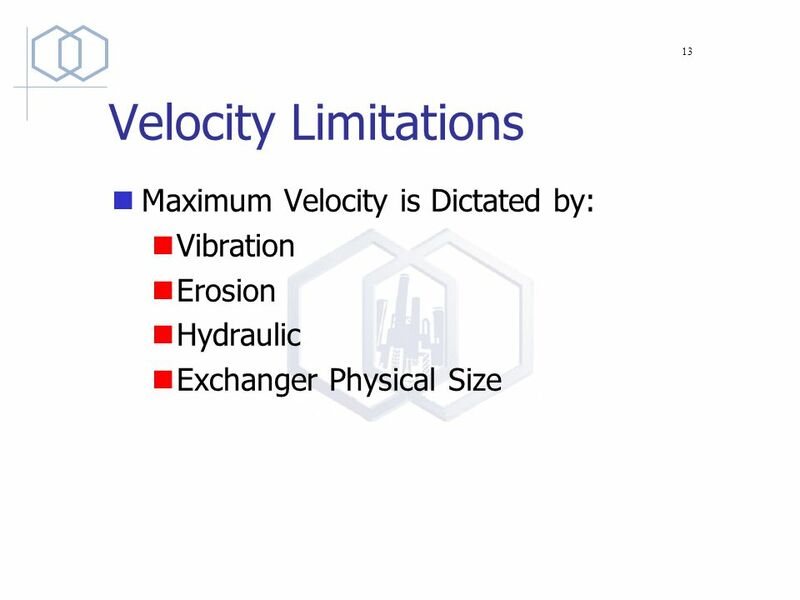 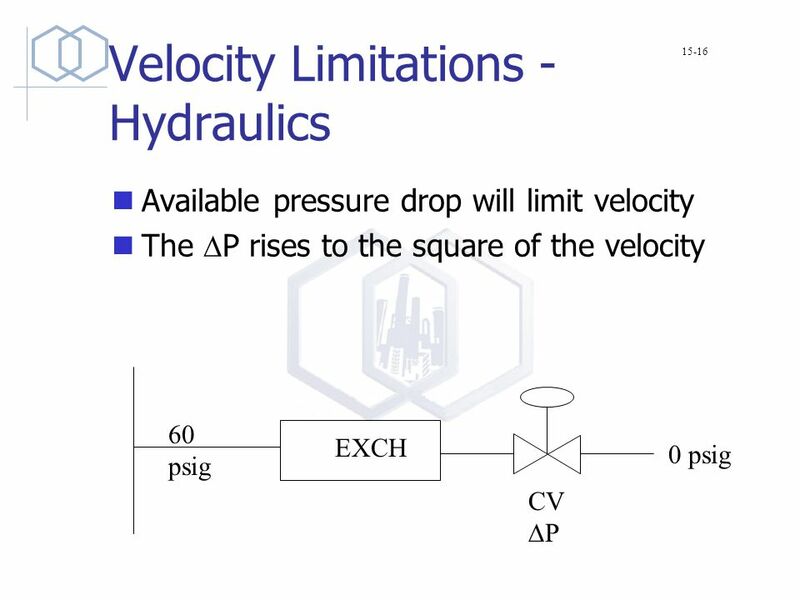 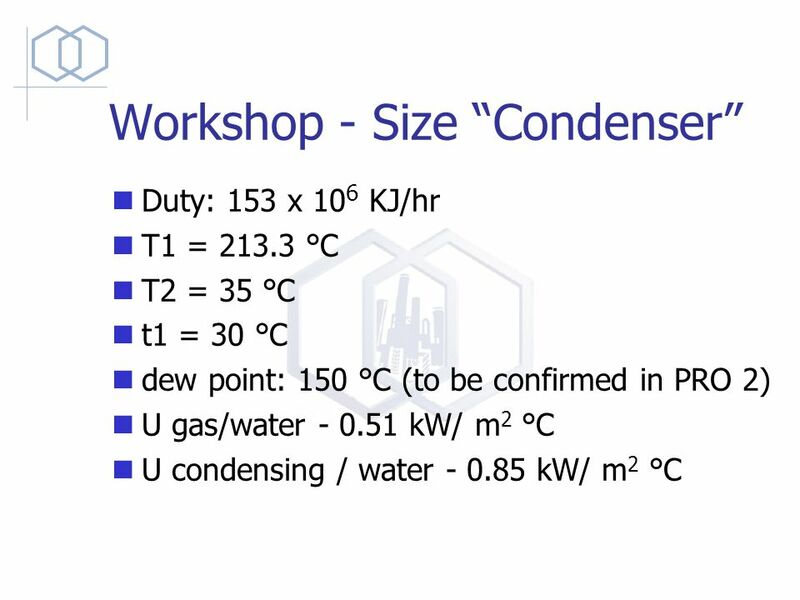 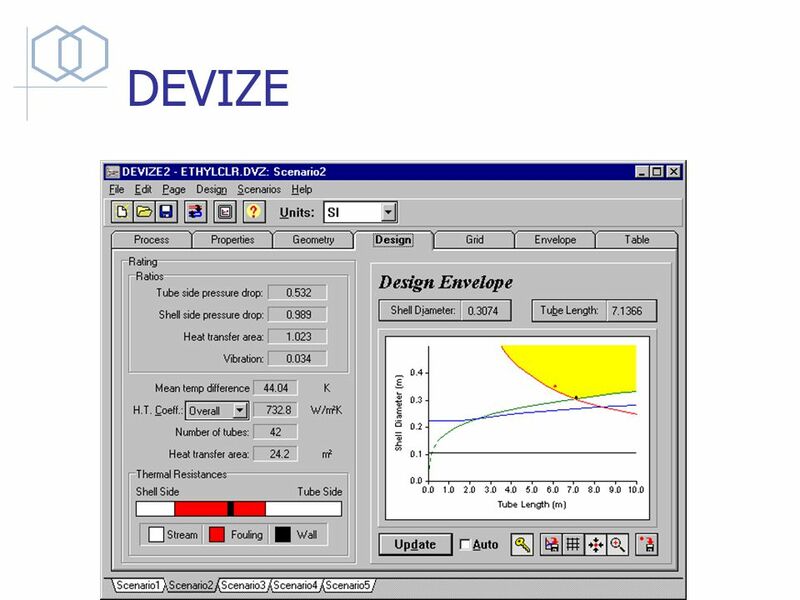 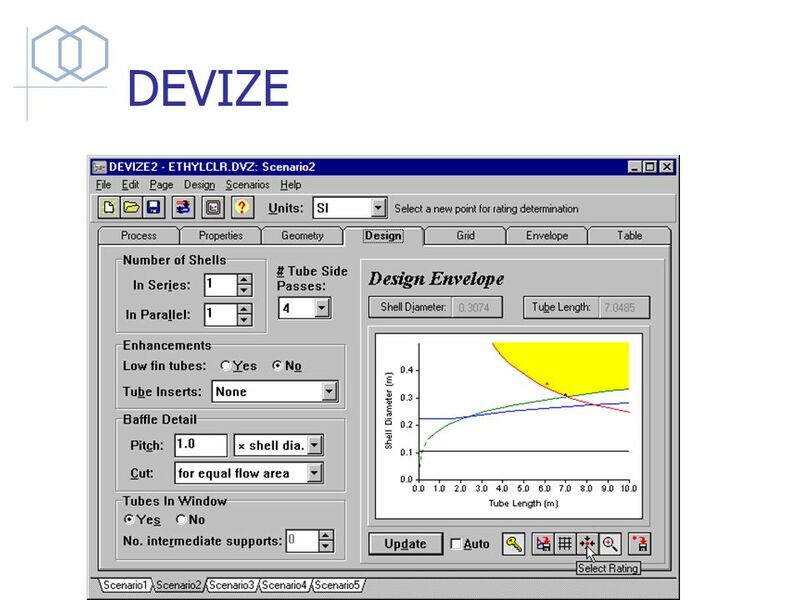 Download ppt "Heat Exchangers Design Considerations. 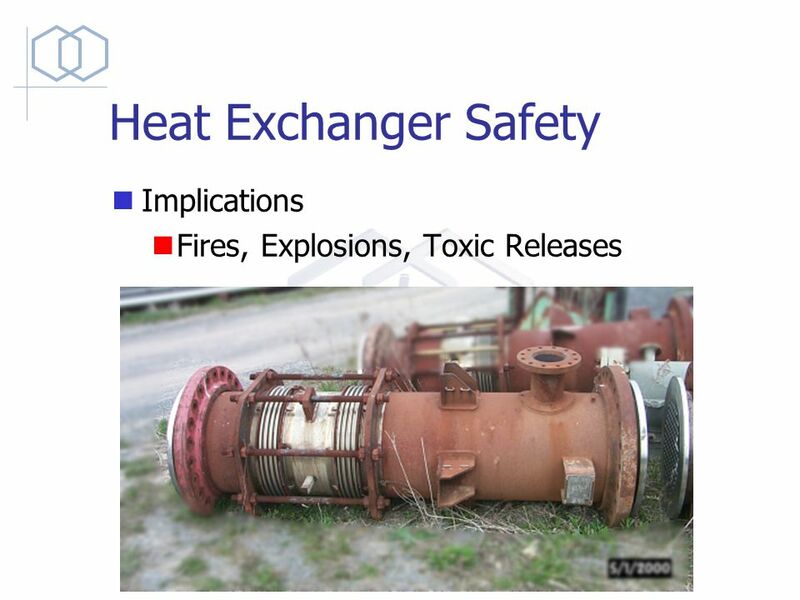 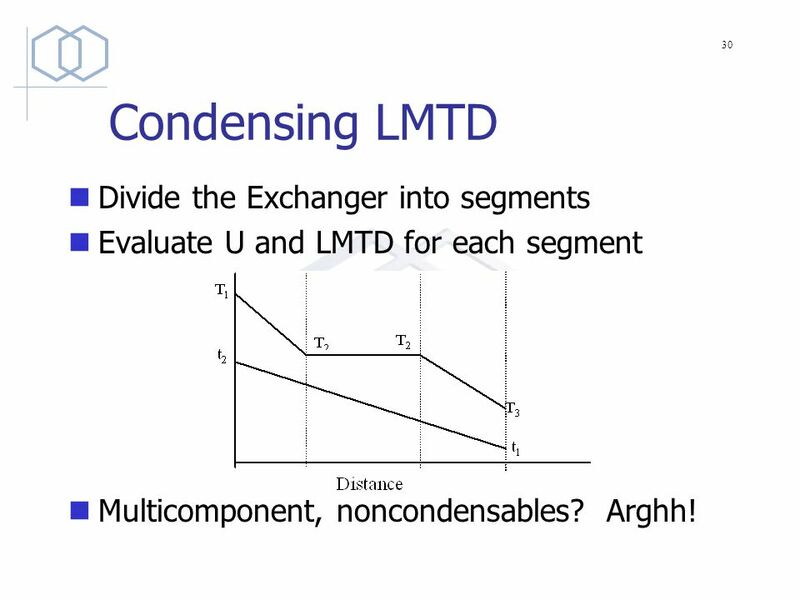 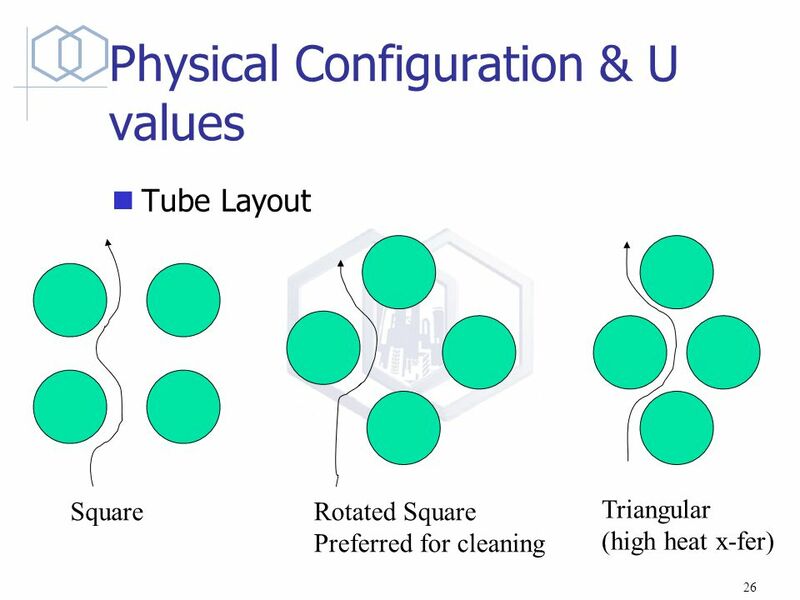 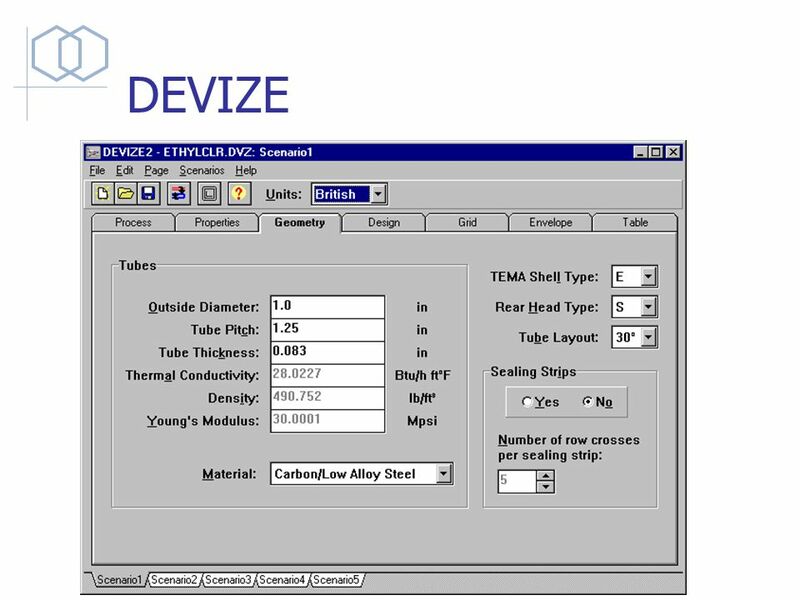 Heat Exchangers Key Concepts Heat Transfer Coefficients Naming Shell and Tube Exchangers Safety In Design of Exchangers." 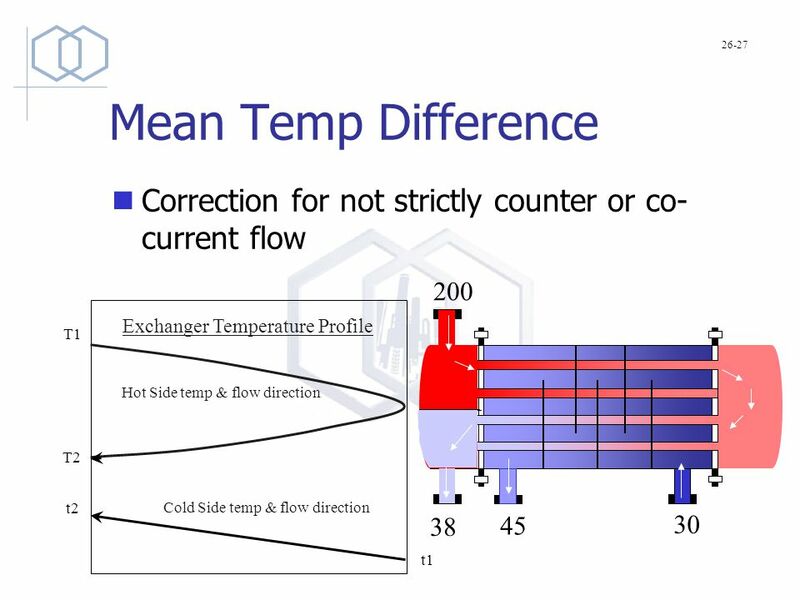 Analysis of heat exchangers: Use of the log mean temperature Difference LMTD Method: Q= (m cp ∆T) h = (m cp ∆T) c Q= U A F∆T lm A=N װ DL ∆ T lm = ∆T l.
Heat Exchanger Design Thermal / Fluid System Design Final Project Department of Mechanical Engineering Fall 2005 December 13, 2005 Team Members: Andrew. 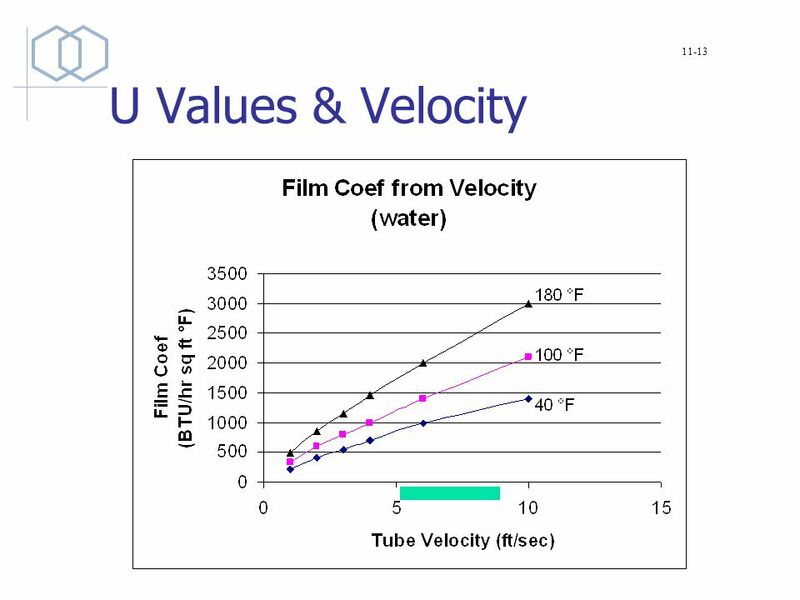 Convection in Flat Plate Turbulent Boundary Layers P M V Subbarao Associate Professor Mechanical Engineering Department IIT Delhi An Extra Effect For. 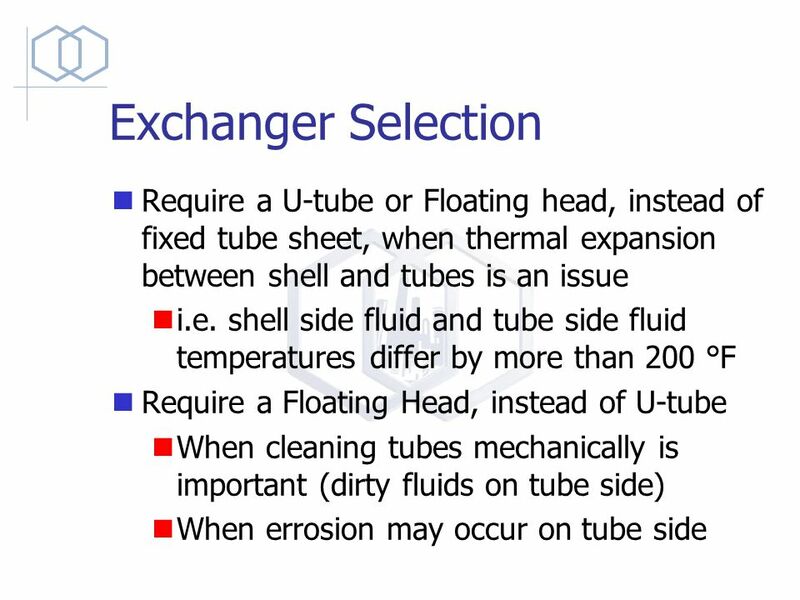 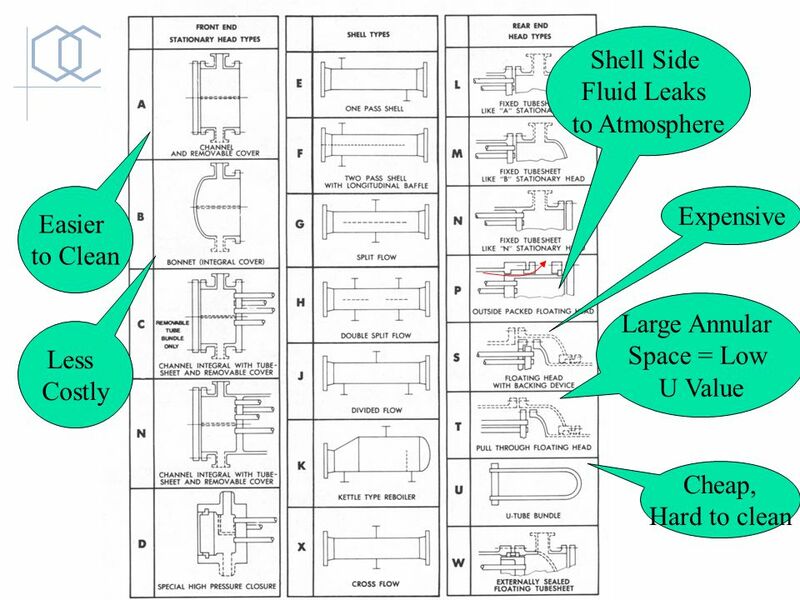 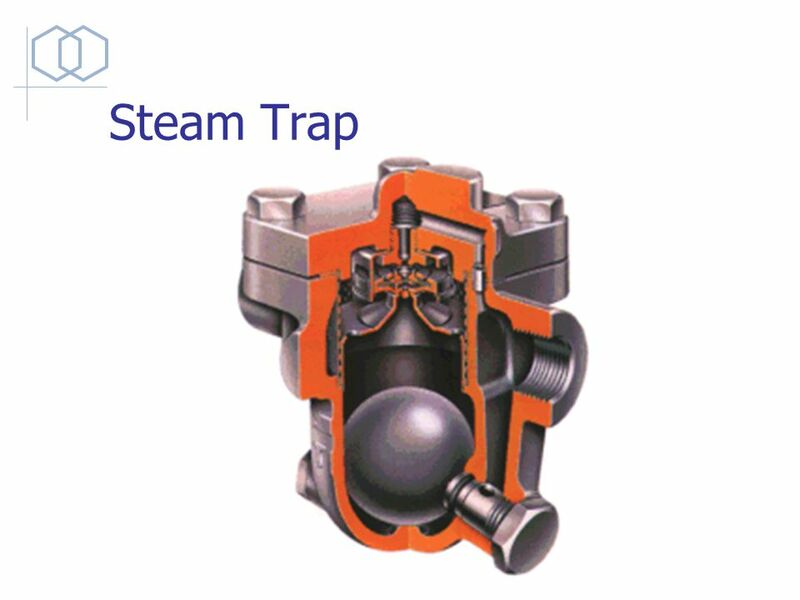 ME421 Heat Exchanger and Steam Generator Design Lecture Notes 7 Part 1 Shell-and-Tube Heat Exchangers. 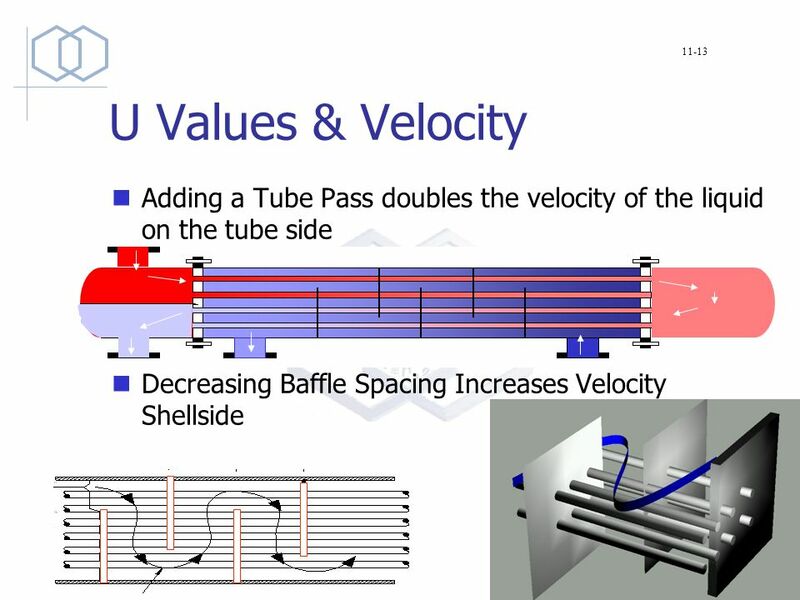 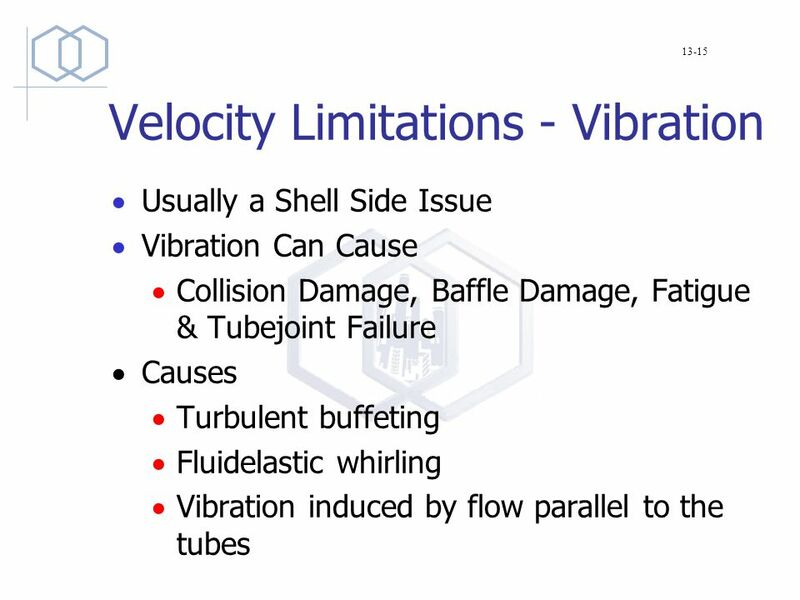 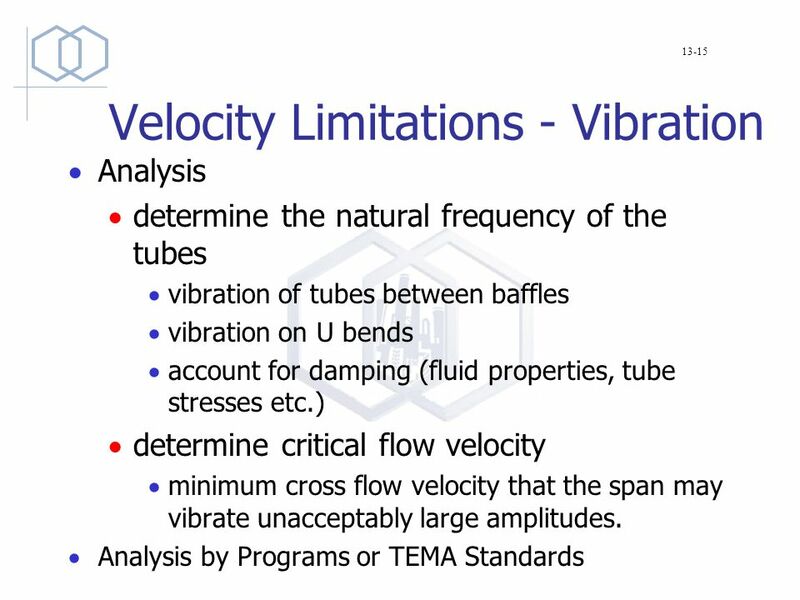 Kern’s Description of Shell Side Flow in SHELL-AND-TUBE HEAT EXCHANGER P M V Subbarao Professor Mechanical Engineering Department I I T Delhi Another. 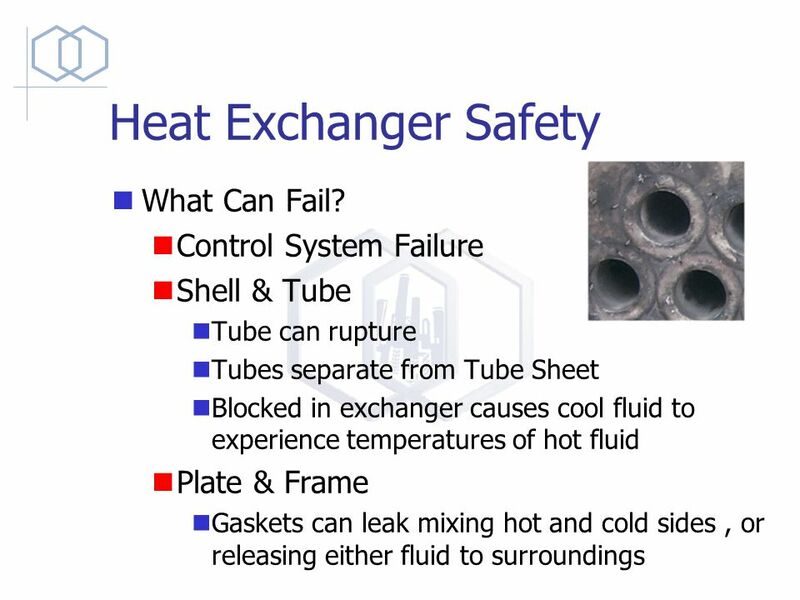  A 'heat exchanger' may be defined as an equipment which transfers the energy from a hot fluid to a cold fluid. 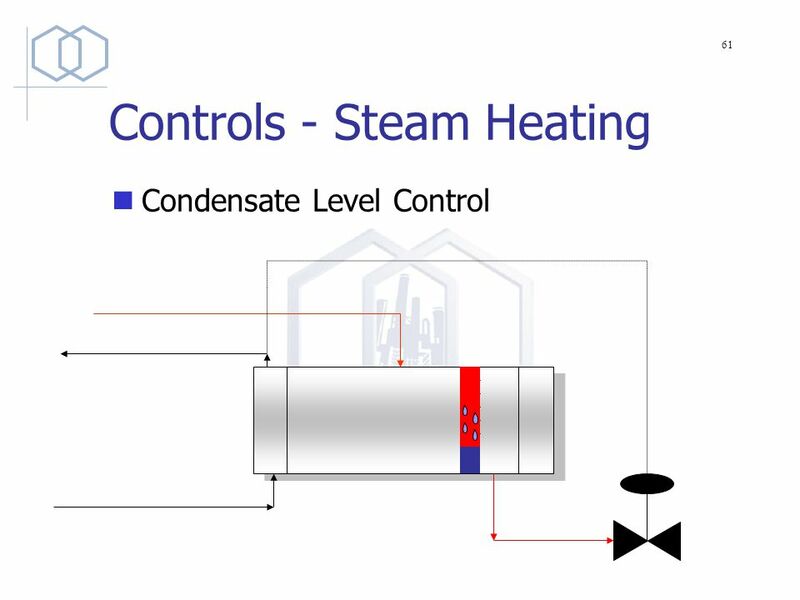 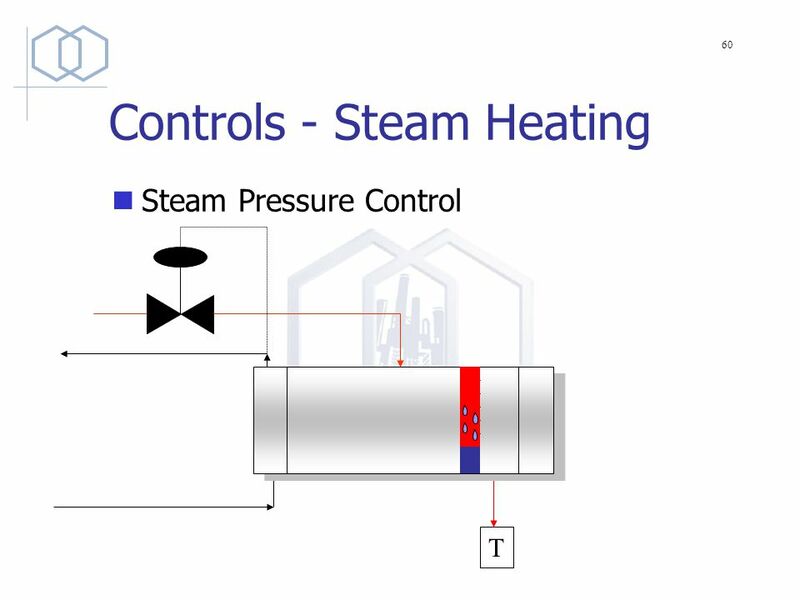 Here, the process of heating or cooling. 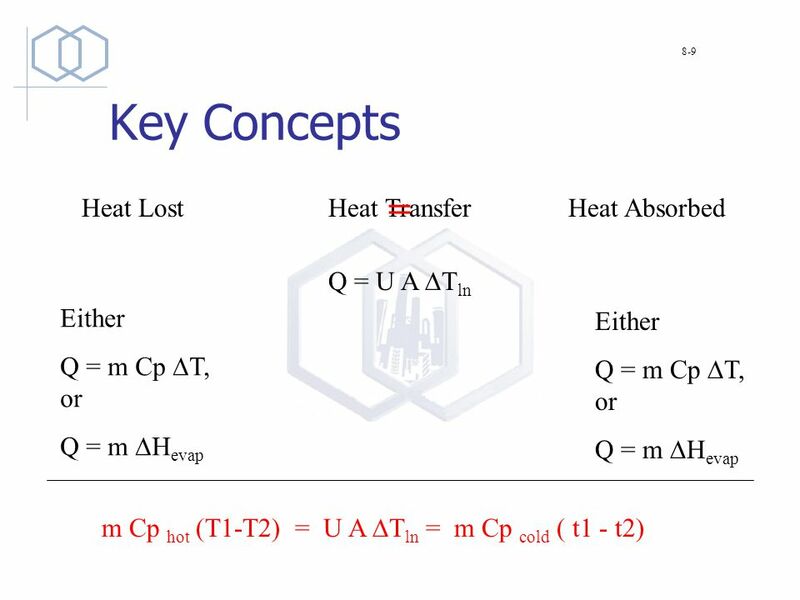 Paul Ashall, 2008 Module 9002 Heat Transfer and Heat Exchangers. 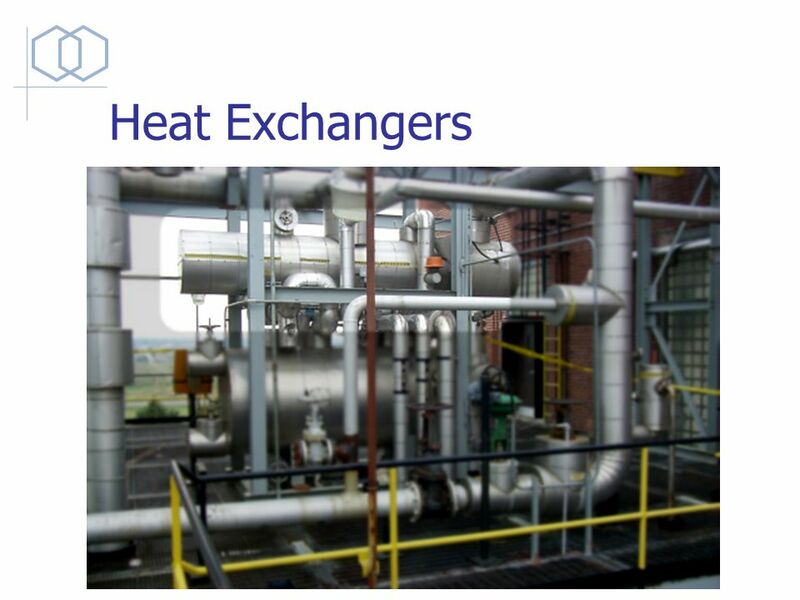 Shell and Tube Heat Exchangers. 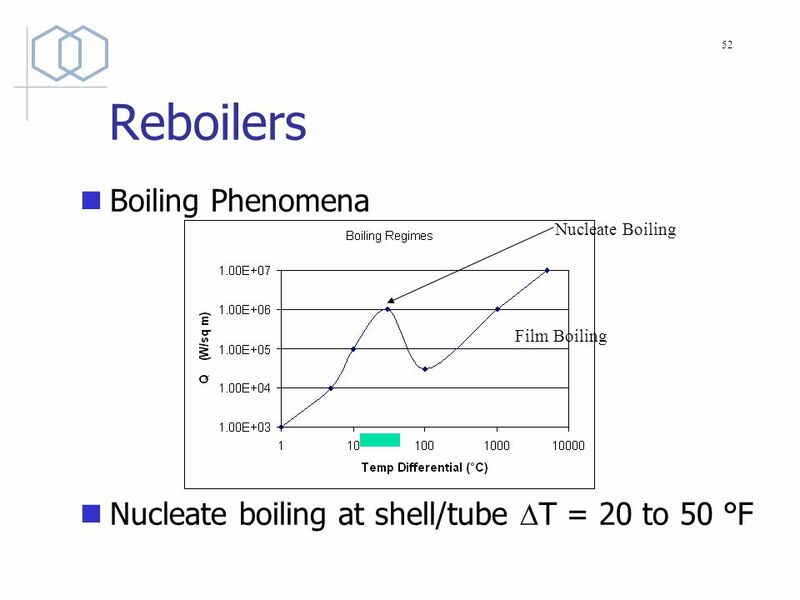 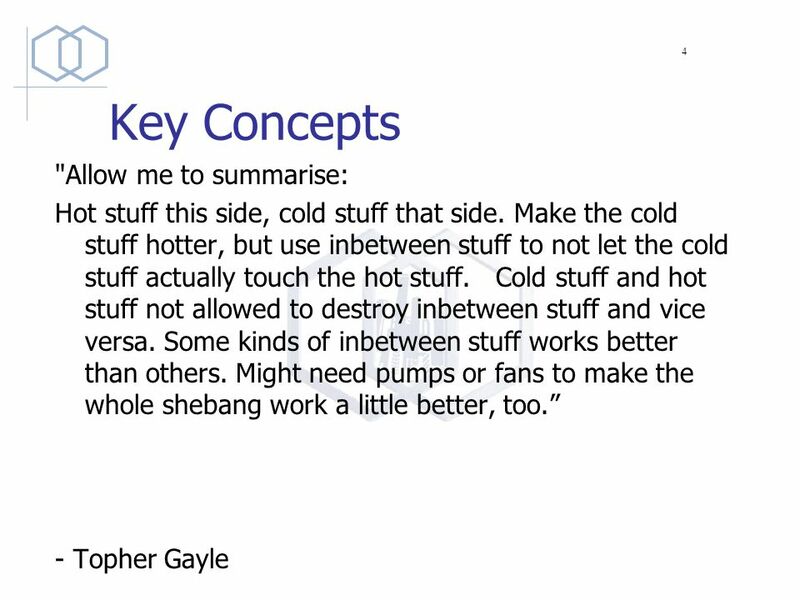 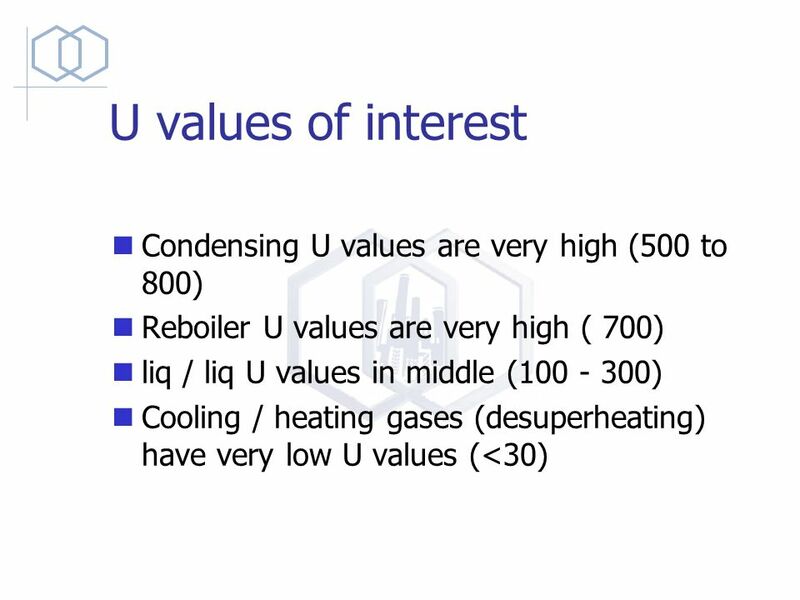 Goals: By the end of today’s lecture, you should be able to:  describe the common shell-and-tube HE designs  draw temperature.